October 2 to 5 – Board of Directors Meeting, chapter former and new presidents handing-over ceremony, chapter elder advisor certification, chapter elder advisor committee inauguration, Lay Dharma Teacher/Lecturer appointments, Night of Buddha’s Light, and Paris one-day city tour. Advisors, Chapter Presidents, and Group Members. Three to five delegates per national/regional chapter, with one additional delegate per 100 members, up to a maximum of one hundred fifty (150) delegates, and for BLIA Chunghua two hundred (200) delegates. 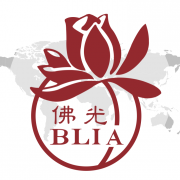 All delegates must have a valid membership card issued by BLIA World Headquarters. Observers: Officers and members of BLIA chapters and subchapters, but not to exceed ten (10) observers per chapter. 1. Each chapter is limited to 5 delegates. (1) One additional delegate for chapters with 100 members with a maximum of 150. (2) All delegates must hold membership card issued by the World Headquarters. Total number of participants: limited to 1,200 people, including BLIA members in Europe and will close registration when full. Note: This Meeting is limited to full participation only and Spectators are not accepted. In order to avoid excessive currency exchange expenses, this event only accepts Euro as the currency for payments. Remark: The above fees include accommodation (4 days-4 nights) during the Meeting. An additional Euro $350 is required for a single room during the Meeting. Participants arriving early or leaving late for the Directors Meeting are responsible for all accommodation and transportation expenses themselves. Please notify the organizer of such needs for ease of administration. No refund for cancellation and no participant changes after registration. Registration dates: Now till July 10, 2019, limited to 1,200 people until full. Registration for transportation service starts on March 1. Please see Appendix 1 for registration form. Transportation information: transportation service will only be provided from October 1 to 7 at Charles de Gaulle Airport (CDG) and Orly Airport, shuttling between airports and hotels. Upon confirming your flights, please fill in flight information as soon as possible for ease of arranging transportation service. To register: first submit fees then swipe membership card for registration. Individual registration: use own membership card to submit fee and swipe card. Group registration: one representative from a chapter bringing the membership of all the participants to submit fees and swipe card. For Lay Dharma Lecturer recommendation, Elder Advisor Committee application, and New Elder Advisor Appointment forms please see Appx. 2-4. Sponsorships by BLIA chapters and individual members for the Directors Meeting are welcome, please see sponsor form in Appx. 5. Chapters that held re-elections at the end of 2018 please bring chapter flag and sash to the Meeting for former and new president handing-over ceremony. There will be a “Night of the Buddha’s Light” for enhancing members’ fellowship. Each continent is requested to stage one cultural performances of their region. Please see registration form in Appx. 6. Participating chapters should bring your national and chapter flags and wear the BLIA uniform with membership card. Before setting off to Europe, please obtain the necessary visa for entry and buy travel insurance which should be valid from the date of departure for Europe to the date of return to home country. All insurance documents (in English) and overseas emergency assistance information card issued by the insurance company must be carried with you at all times in case of need. Participants holding Taiwanese passports are to carry their MTP (Mainland Travel Permit for Taiwan Residents) and membership card on them during the event. Available only during October 1 to 7 for Charles de Gaulle Airport (CDG) and Orly Airport, between the hotels and airports. Members requiring transportation service on arrival and departure, please write clearly the arrival/departure airport and terminal, and also wear your BLIA uniform for ease of recognition. One-day city tour of Paris on October 5 is courtesy of the organizer for the participants. In addition, pre-and-post-Meeting tours are available with information in Appx. 8. Please contact World Headquarters Secretarial Office for other matters and inquires. Registration and tour fees should be submitted to the hosting organization before July 10 for ease of confirmation for availability of spaces. After wiring the funds, please email wiring receipt to the designated address below, completing the “2019 BLIA World Headquarters Directors Meeting fee submission form” (Appx 7), providing chapter name, name of person wiring the fees, and contact person for ease of verification. **Use the “BLIA APP” and search for “Venerable Miao Da” and confirm with her if the email confirmation for wired funds is received.